Search Homes Right Now: Use Pearl Realty search tool to browse the wide variety of single-family homes, duplexes and condominiums available in North Idaho. Register for the Home Finder and let your dream home come to you. 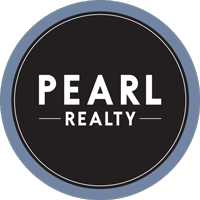 Members can also create saved searches, collect their favorites and sign up for instant email alerts from Pearl Realty when new homes that fit their criteria come on the market. First-Time Buyer? Read about some things you need to be aware of, if you're new to this process. We are here to help, so don't hesitate to reach out with questions. Learn About our Communities and homes in the surrounding area before you invest. Refer to the Featured Areas section for community information. Thinking about buying? Fill out the form below for and an agent will contact you or connect with us at 208.762.5500 or at info@pearlrealty.com.